Guest performer Kim Jae-Joong last night received the AFA New Generation Award. He said that it was his first time at the Asian Film Awards. Earlier he had very few opportunities to come to Hong Kong, so he felt very honored. Has he seen the other films? He admitted that he only read the program and saw many familiar actors and directors on the nomination list. Because he was too busy with work last year, he had very little time to watch movies and television series. However he was very interested. He liked to watch action films very much and knew that the Greater Chinese region had many outstanding actors. He hoped to have a chance to work with them because he only had one production under his belt. Also at his first Asian Film Awards, Korean star Park Seo-jun received the AFA Rising Star award. He said that he was very happy after learning that he would win this award and would continue to work hard on his work. What did he feel it took to become a Rising Star? He said, "Actually I don't know why I won either, you should probably ask the event. Maybe everyone have always cared about me very much, so I himself has been very nervous and even more careful. From now on I will keep working hard. (Would you like to work on a movie in Hong Kong?) It will depend on my schedule, I can't just make it when I want to. That's why I have to work hard now and wait for the chance to come. Hopefully I will be able to work with Hong Kong actors and directors soon. I would like to work with (Aaron) Kwok Fu Sing the most because his acting is very cool." The Best New Director Award presenters were Gigi Leung Wing Kei and director Stanley Kwan Kam Peng. Gigi pointed out that three out of the six nominees were female directors and felt that the ratio was very high. Hong Kong also had new director nominee and she hoped that she would win. After watching her film STILL HUMAN, Gigi thought that the director made Wong Chau Sun look great. Gigi herself cried several times. Kwan Kam Peng was very nervous for Oliver Chan Siu Kuen because he has seen other new directors' work, all of which were very high quality. He also recognized that many female directors have appeared in the world, which was a good thing. Would Gigi be interested in directing? She admitted that she would be interested but she first had to prepare herself, pay more attention to things and events around her, listen to more stories and bring good stories to the audience. She would like to make romance and family films because she has had experience with the subjects. She also jokd that she would not be able to make a science fiction film. Kwan Kam Peng was very supportive of Gigi becoming a director and believed that sh would make a good subject. Gigi heard and said that when she would direct she definitely would want Director Kwan to help. 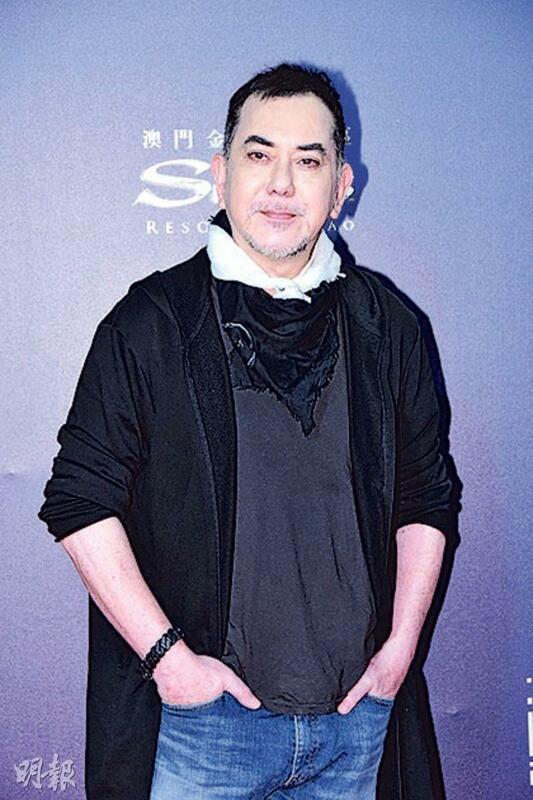 Best Actor Anthony Wong Chau Sun appeared on the red carpet. Speaking of his new film STILL HUMAN at the 14th Osaka Asian Film Festival received the "viewers' choice award", his fifth award with the film. He said, "Right? I was in Tokyo earlier, why wasn't I invited. (How did it feel to win 5 awards in a row?) It's really unreal, I have to be more careful. I can't be arrogant. When I get home I have to kneel and pray, give credit for all the honor to the Lord. I have to be humble." Has he received even more film offers after the awards? He said, "For now I haven't, but I have a lot to do myself. I would have a play, and stand up comedy with (Jan) Lamb Hoi Fung. I believe I would be pretty busy." Speaking of his commercial in Tokyo earlier, he said, "This time I went to a tea garden, the tea is still memorable now. It was the best team I ever had in my life."